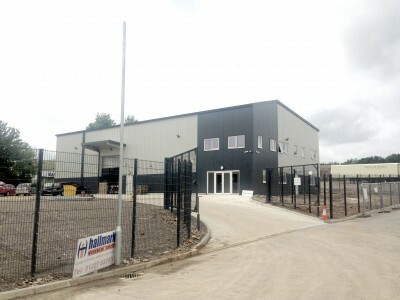 Now complete, Hallmark Workwear and Safety are operating out of their new premises on Canterbury Business Park, near Bridge, Kent. Designed and Built by Directline Structures, the steel frame building houses a spacious warehouse with internal mezzanine, reception area, kitchen, toilets and a range of offices. With a smart new building in a great location in Kent, Hallmark looks set to continue to thrive.